The tail end of winter is just about as perfect as any time to welcome the new YA fantasy Wintersong, available now! Today, we welcome author S. Jae-Jones (@sjaejones) to Rich in Color to talk about her debut book and more. Check out the interview below, and enter her giveaway for a copy of Wintersong! The moment I read Wintersong’s synopsis, I was all about it: Sisters being there for each other, everything at stake, and otherworldy romance. What made you decide to write this specific story? We like to mythologize origin stories—we like to think that there’s a flash of inspiration, or an entire story that comes to us in a dream. The honest truth is, Wintersong is an amalgamation of things that interest me: music, Mozart, Germanic fairy tales, the Erl-king myth, underworld stories, the movie Labyrinth, the poetry of Christina Rossetti, etc. At the same time, in many ways, the book came to me fully formed: Liesl just…showed up with two siblings, a mother, father, and irascible grandmother in tow. Writing the first draft of Wintersong was almost a journey of discovery—I was racing to finish in order to figure out what happens to Liesl, pulling all my influences in along the way. Do you see anything of yourself in the heroine of Wintersong, Liesl, or any of the other characters? What were your main influences for the characters and story? I’ve disclosed in my newsletter that there is a little bit of me in every character I write, but what I gave to Liesl were two things: my creative process, and my bipolar disorder. I think personality-wise, I’m the most like Käthe, Liesl’s sister. Like her, I’m shallow, frivolous, and vain, but also loyal. The character I love best is Thistle, a prickly goblin girl, who indulges in all the petty impulses I cannot. According to your blog, Wintersong was your Nanowrimo project. Did you find it easy or hard to write Wintersong? Do you still do Nanowrimo? I found it easy to write Wintersong, so easy that I find it incredibly suspicious. While I can write a decent number of words per day, I’m not a particularly fast writer, and the speed at which I wrote a first draft of Wintersong still astounds me. I wrote the first draft (100,000 words) in 59 days. Yet despite this, Wintersong was also hard to write in the same way all my other books are hard to write: I’m a pantser, which means I’m unable to see the big picture until I finish a draft. And because I’m a pantser, I’m never sure if I’m going to be able to finish a draft at all because I have no idea what I’m doing or where I’m going. I still do NaNoWriMo, but I am embarrassed to admit that the year I “won” for Wintersong remains the only year I’ve ever won. If you had to name a theme song for Wintersong, what would it be? Oh man, I have so many songs on several different playlists, but I suppose Coming Down by Halsey. It’s a little on the nose, perhaps, but appropriate. Are you working on any new projects (new books, poetry, short stories)? I am currently working on the sequel to Wintersong, which will be out in 2018. I am always writing something, but whether or not they’ll see the light of day remains to be seen. Exciting! Finally, read any good books lately? And are there any upcoming new books that you’re excited about? I read a collection of short stories by Ted Chiang over the holidays, which were amazing. His story “The Story of Your Life” was made into the film Arrival (which I also loved), and it’s thoughtful, beautiful, and heartbreaking. I’m not actually much for short stories at all, but I loved, loved, loved them all. There are so many books I’m looking forward in 2017, it would be impossible to name them all! I’m super excited for Done Dirt Cheap by Sarah Lemon and A Crown of Wishes by Roshani Chokshi, both of which I’ve read and think y’all will love. Enter the giveaway below for a copy of Wintersong! The giveaway ends February 21st, and is open to USA mailing addresses. See terms and conditions for further details. Being a fantasy-reader, I’m always looking for books that break the mold when it comes to characters, story, and setting. And I have to say that S. Jae-Jones’ Wintersong hits on all of those points. The fact that I want to read more diversely also adds another important point, so I’m even more eager to read Wintersong. I’m curious to see how all of the author’s inspirations work together in her debut novel. Big props for her to include and discuss mental illness as well in a fantasy series, which isn’t seen too often. Because of the beautiful cover, genre and description. Honestly, I can’t wait to read this book! I’m more than ready to read more Fantasy with marginalized voices as they MC. 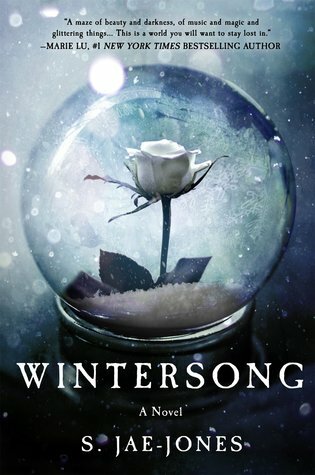 Wintersong just sounds like a great book. I really enjoy fantasy, and this one sounds kind of like Labyrinth so I was immediately interested in it.